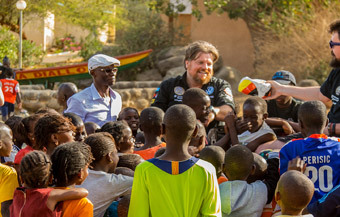 Since 2005 Rainer Zietlow is supporting the international children's welfare organisation SOS Children's Villages with his projects. 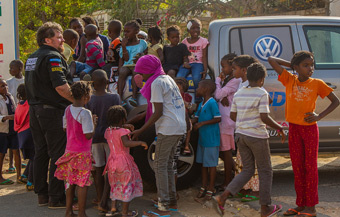 For “Amarok Dakar-Moscow” he donates 20 Euro cents per each kilometre driven to a SOS Children's Village in Dakar. 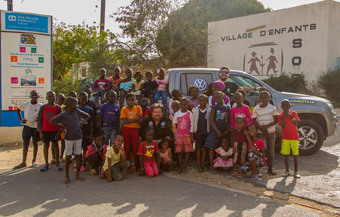 Rainer Zietlow and his team will visit the SOS Children’s Village on the 20th of April 2017 with their Volkswagen Amarok. Pictures and a short video of that visit will be shown on this website. The donation helps to finance the daily lives of the SOS families and the maintenance of the SOS Children's Village in Dakar.